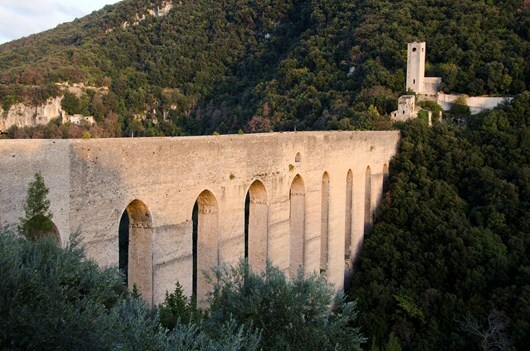 This is one of the most beautiful section of the Way of St Francis/Via Roma from Assisi to Spoleto, enjoying the varied landscapes between the cities which consist of beautiful views over the valleys, hills and towns and with the historic city of Assisi and Spoleto to enjoy. 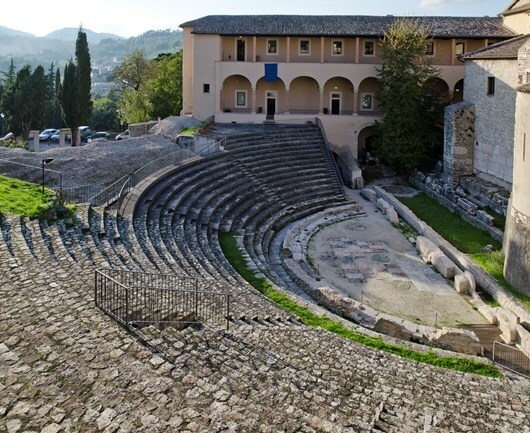 See two great historical Italian Cities on this walk; Assisi and Spoleto. 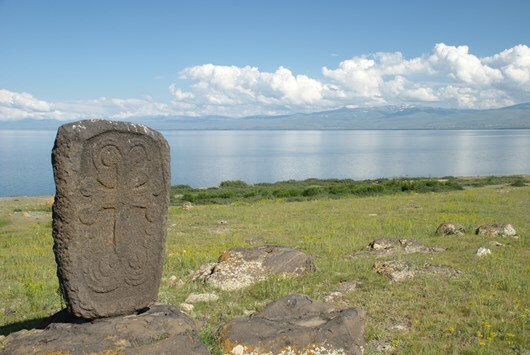 The varied landscapes between the cities consist of beautiful views over the valleys, hills and towns. 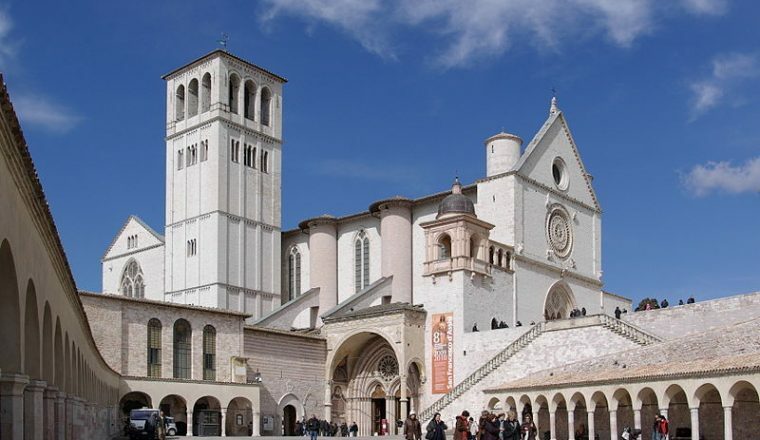 In Assisi, see the Basilica di San Francesco, the house where St. Francis was born, before arriving in the medieval centre of Spoleto. Price : £550 per person based on two people sharing a room. All the year round (best period April – June / end of August – October). Day 1: Arrive in Assisi. Arrival in hotel – maps and route notes will be given to you. 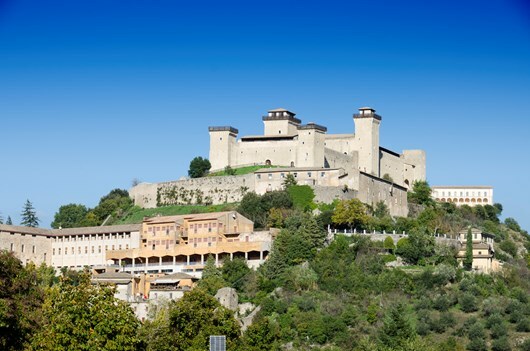 Leave Assisi by the Porta Cappuccini arch and you will enter immediately into the Monte Subasio Natural Park. A steep climb will take you to the hermitage ‘Eremo delle Carceri’ (830m), one of the places which best captures the ‘sense’ of the prayers of St. Francis, who used to retreat here with his most faithful companions to pray and meditate in the silence of the woods. You can visit the cave where St. Francis slept and the ‘devil’s hole’ which is a reminder of his temptation. 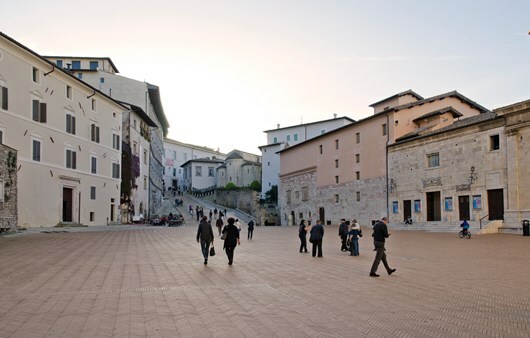 Spoleto: Hotel Clitunno *** www.hotelclitunno.com or Hotel Charleston *** – www.hotelcharleston.it – both hotels situated in the historical centre of Spoleto.